This week’s News4U features two different interviews. The first is with our own Lego expert. Cody tells us all about why he likes this building product so much. And, as some of you will have already seen in the slide show, Chef Tom Kitchin came to open the new dining room. 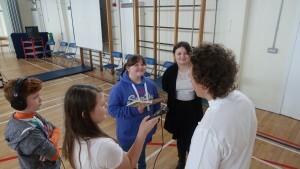 The News4U team interviewed him too. We are back, late for last week or early for this one! Lyn, Laura and Badger the Mystical Mutt came to the school to say ‘hello’. Lots of parents and our friends from the Poppy Factory came to see the fantastic P7a and 7b World War 2 Museum. We asked them all some questions. Hope enjoy this! 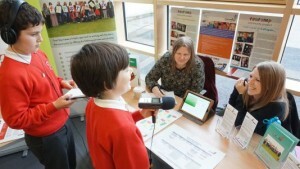 Leaf and Calum in interviewing action at the Community Event. Listen to their interviews over on the school web site here. Enjoy. Hi folks…we promised a ‘special podcast’ and here it is. 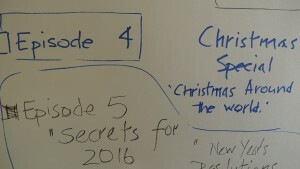 There is a mystery presenter ( listen to the end to find out who it is) . And everyone is talking about next year. This week we have been thinking and talking about Christmas around the world and also the many names for Santa Claus. News4U will be taking a short break, but there may be a special ‘News4U’ next week . Keep listening! The weeks are just flying by here at News4U HQ and this week we have been talking about Christmas Plays and Meadow Mill. 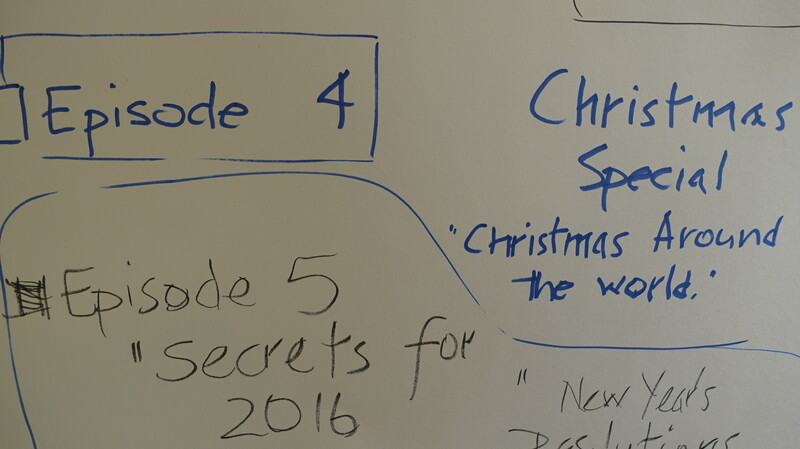 Hope you enjoy this week’s podcast and we are already thinking of next week’s Christmas Special. This week’s podcast talks about pupil council, numeracy week, litter and the poster competition winners ) , and what’s hot in P4. You will hear from pupils, staff and parents this week. And we have also included a short slide show of the litter poster winners too. Check that out after you listen to this week’s News4U . Here is the ‘News4U’ team in Global Podcast HQ after recording their first episode of the weekly news, views and reviews programme from the Podcast Club. Hope you enjoy it! 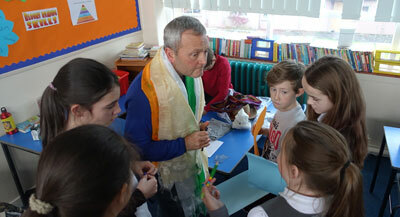 P5/6 and P6 have been exploring the topic of ‘Mount Everest, and we have been very lucky to have had two visitors who have been to Nepal. 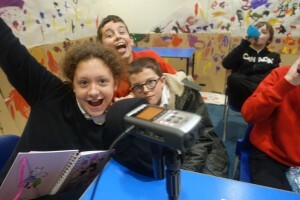 Even better, we have interviewed them so everyone can hear their stories. 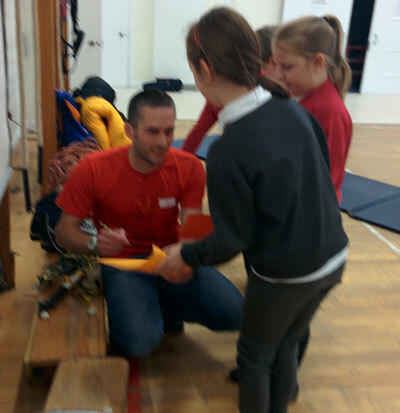 First, Katie and Ewan interviewed Rick Taylor who climbed Mount Everest and nearly got to the top. Recently P5/6 and P6 had two special visitors; Rick Taylor and James Lamb. We were lucky enough to interview them about mountaineering in Nepal. Here is the interview Katie and Ewan did with Rick. And here is the interview Zoe and Harry did with James .